Buy Barrington Stoke 4u2read: Who's a Big Bully Then? You’ve written many, many best-selling books. Which is your favourite – and why? All my books are special to me – they are all my babies if you like. Often it’s the latest one that I’ve written that is my favourite. I’d been dreaming it for so long, living and breathing its story so that when it finally arrives as a newly published book, smelling wonderful and fresh out of the box, there is nothing like it. However, if I was to mention some favourites, War Horse would be up there and the sequel to War Horse – Farm Boy. War Horse is my wife’s favourite too and that means a lot. The Butterfly Lion is one of the most reviewed titles on our website – and everyone loves it. Why do you think this story is still so popular? That’s really good to hear that The Butterfly Lion is so popular and lovely of you to say so. I’m not sure what makes this story so popular even after all these years, though perhaps it’s something to do with its themes – the span of generations, and the different stories interwoven, of love, friendship, war and adventures. And it certainly must have something to do with the white lion – they are such beautiful, rare creatures. When you were growing up, which books and authors inspired you? There were many of course but some that really stand out are Mike Mulligan and his Steam Shovel by Virginia Lee Burton. I loved this picture book and think it might be the first book I ever read for myself. It helped that the hero and I shared the same name. Wonderfully illustrated, it had the most satisfactorily of all endings. Then there was The Happy Prince by Oscar Wilde. This was the first story that ever made me cry. What was strange was that I wanted to read it over and over again. It still has the power to make me cry. I loved Rudyard Kipling and particularly The Elephant’s Child and The Jungle Book. My mother used to read me The Elephant’s Child often because I asked for it again and again. I loved the sheer fun of it, the music and the rhythm of the words. It was subversive too. It’s still my favourite story. And not forgetting Treasure Island. This book was a huge inspiration and was really the first real book that I read for myself. Jim Hawkins was the first character that I identified with totally. I lived this book as I read it. There’s a book called The Man Who Planted Trees by Jean Giono.. It is a book for children from 8 to 80. It’s the tale of one man’s dedication to planting trees and how it has a profound effect on a region of South-east France. I love the humanity of this story and how one man’s efforts can change the future for so many. It’s a real message of hope, and I wish I’d written it. Animals are major characters in many of your books. Why is this? I think it has something to do with the fact that I live on a farm in Devon. We have all kinds of animals there. We also have lots of children who come to the farm with their schools with the work of the charity Farms for City Children that my wife Clare and I set up. I have lived and grown up with animals all around me, and with watching how people respond to animals and how animals respond to them in return. I am fascinated by this relationship and how profound it can be. I think for many children, an animal helps them go to places they would otherwise not venture into. With a dog as companion, a child can empathise more readily, I feel, and so for a writer it does allow me to engage with subjects that would otherwise be too difficult or traumatic for younger readers. Steven Spielberg has bought the film rights to War Horse. Will you be involved in the film? I’m not actually closely involved in the filming, but right at the beginning I met with the producer Kathleen Kennedy and Stephen Spielberg and talked over the whole project. They have sent me scripts from time to time for my comments, and I have visited the set on location so that I can keep in touch with how the production is going. I am conscious of the fact that I am a book writer, not a film-maker. What we have in common is that we are both storytellers, but he is the one that knows best how to do it on screen. In a sense, I have handed over my story to him to interpret as he wishes and have done that because I have great faith in his genius as a film-maker. Lots of our members would love to be writers. What advice do you have for them? Always write because you love it and not because it is something that you think you should do. Try to write about something or somebody you know about – something that you feel deeply and passionately about. Never force it. Probably the most important thing is to try to live an interesting life. Keep your eyes, ears and heart open. Talk to people and visit interesting places, and don’t forget to ask questions. To be a writer you need to drink in the world around you so it’s always there in your head. Finally, try and live inside your story, hear and feel it all around you and become the characters. I am working on a retelling – a version of Pinocchio which will be published by Harper Collins next year. 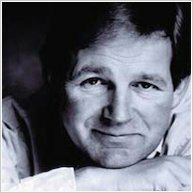 Award-winning author Michael Morpurgo was writer-in-residence at the Savoy Hotel during 2007. His book, Kaspar: Prince of Cats, was inspired by his stay. Beautifully illustrated by Michael Foreman, this is a fantastic story for 7 to 11-year-olds. Set in 1912, the story begins at the Savoy Hotel in London where bell-boy Johnny Trott carries in Kaspar, a cat belonging to one of the guests. However, soon events are set in motion that take Johnny and Kaspar on an adventure around the world! What was it like being writer-in-residence at the Savoy? And living in the luxury of a 5 star hotel?! Fine – so long as you don’t get used to it. The place was full of fascinating people whose lives were full of stories, particularly those who worked there. They became like an extended family to us as we got to know them. What kind of responsibilities does a writer-in-residence at the Savoy have? To create literary events, in my case one a month, bringing authors and actors to the hotel to read and perform. In my case, we had a tea party for 60 children with Judith Kerr (The Tiger who came to Tea), a concert of readings and music with Jenny Agutter and a charity evening where friends came to read from their favourite book, amongst them Michael Foreman and Terry Jones, Juliet Stevenson and Joanna Lumley. Kaspar is such a beautifully written story about the disaster of the Titanic, and the courage of people. What inspired you to write about the Titanic? Walking into the Dining Room of the Savoy one morning I was struck by the similarity of its decor to the Dining Saloon on The Titanic – they were created almost at the same time. What is the real legend behind Kaspar, the cat of the Savoy Hotel? Kaspar is the lucky mascot of The Savoy. It seems that at the beginning of the 20th century 13 men had lunch together at The Savoy, and as the meeting broke up someone said that it was unlucky to have 13 people round a table. One fellow scoffed at this and said it was a lot of superstitious nonsense. Six weeks later that same fellow was shot dead in the streets of Johannesburg. The managers of the Savoy Hotel decided they would never allow a meeting of 13 people again. They commissioned the sculpture of a lucky black cat, called it Kaspar, and now whenever there is a meeting of 13 people they put out a fourteenth chair with Kaspar sitting there. So today there are always 14 sitting round the table, not 13. Describe a typical day in the life of a writer-in-residence at the Savoy. No day was typical. Breakfast was always served in the restaurant looking out over the Thames. Then I might write in the morning, on my bed which was the size of Ireland, go for a walk in the afternoon over the South Bank and then go to a concert or a play in the evening. It was a hard life! Where do you get your ideas for books from? From all around me. Places, people, stories I hear, little happenings, big happenings, history. I keep my eyes and ears open, my heart fresh. Over one hundred. Private Peaceful was the hundredth. Sound a lot but that’s fat ones, thin ones. All sorts. On my bed where I’m most comfortable. I pile the pillows up behind me, settle back and write by hand with my exercise book on my knees. With each one there is an element of truth. I weave different truths into the same story to make another kind of truth. So with Kensuke’s Kingdom, there was a Japanese soldier who decided to stay behind on an island after WW2, and people do hunt orangutans, kill the parents and kidnap their young, and people do sail around the world on yachts, and sometimes they fall overboard . . .
What is the favourite book that you have written? The Butterfly Lion or Kensuke’s Kingdom or War Horse or Private Peaceful. Robert Louis Stevenson (Treasure Island), Rudyard Kipling (The Just So Stories) and Ted Hughes (The Iron Man). It depends on how well I’m writing, how well it’s flowing. But the most important part of my story inventing when I try to weave the story together, do my research and find the right voice for the story. Once I begin writing, I write very fast and will finish a book in two or three months. Then revising it might take another month. So, on average, a novel takes upwards of 6 months to write. How do you choose your illustrators? By getting to know them. I’ve worked for many years now with Michael Foreman. Indeed, he’s suggested many stories to me: Farm Boy, Billy the Kid, Arthur, High King of Britain. We really do spark off each other. I’ve worked very well too with Quentin Blake, Christian Birmingham, Tony Ross, Shoo Rayner and many others. I usually spend several months dreaming it up in my head – I call it my ‘dreamtime’,ing. The publishers sometimes help in choosing who should illustrate what. They know many more illustrators than I do, and can visualise a book better than me. But I know what I like.